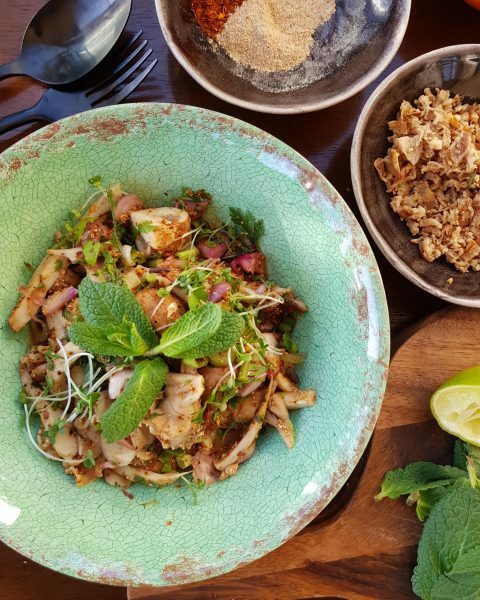 Our mushroom Larb is a vegetarian take on the traditional Larb salad, usually made with minced pork or chicken. This incredibly simple – and super tasty – salad really packs a punch. It’s got salty, zingy and spicy kicks to the palate, as well as a satisfying crunchiness, thanks to the toasted rice. Bring a medium saucepan of water to the boil. Carefully drop the mushrooms and boil for about 2 minutes, until cooked through. Drain the mushrooms and put them in a large bowl. Add the remaining ingredients and toss vigorously until everything is well mixed. Serve immediately.